New album Bad Influence is impacting country radio now. 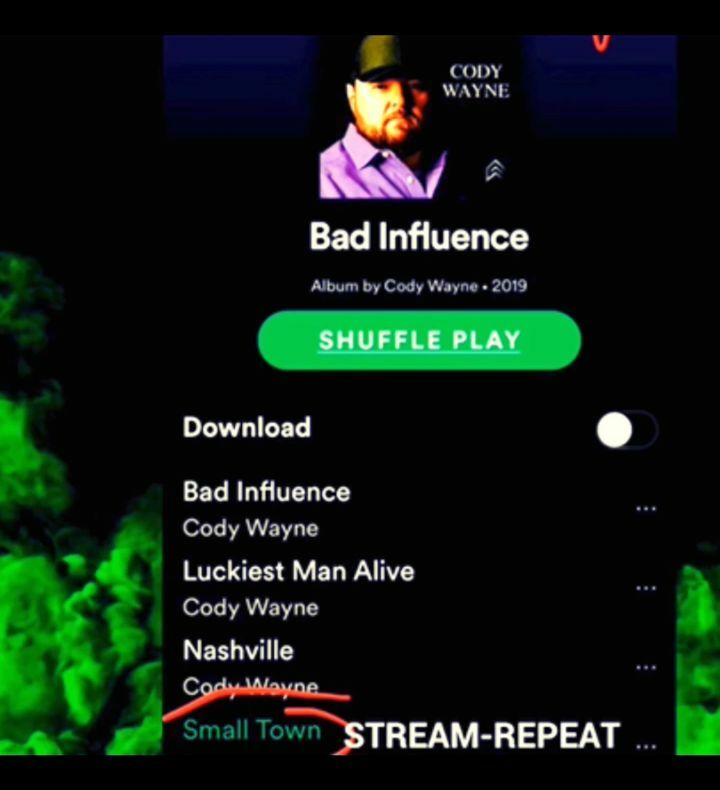 Have y’all heard Cody’s latest single, “Small Town” yet? Check it out and more on Spotify and follow for updates.